A brighter outlook. Customize your skin care. A couple of drops of Rodial's brightness booster is a game changer for your skin care routine, turning your favorite moisturizer or serum into an illuminating glow getter. 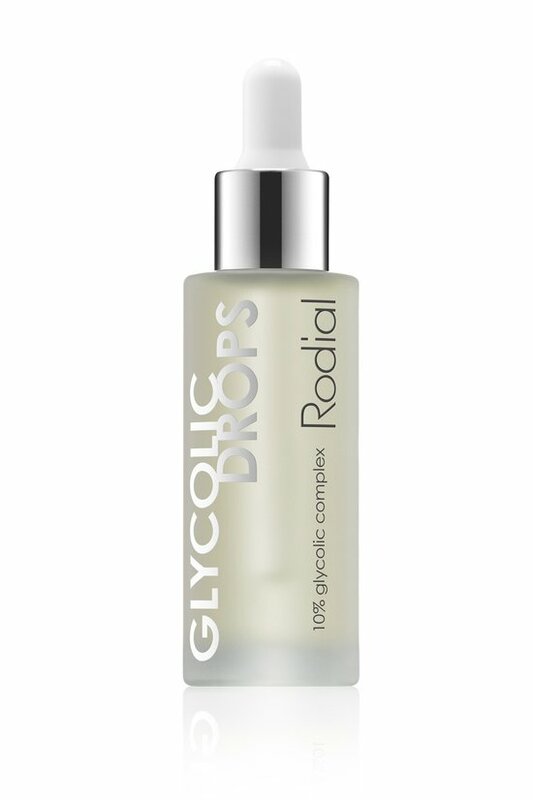 Highly concentrated, super-targeted glycolic drops gently exfoliate dull, lifeless complexion to refine and reveal your inner radiance. Pores appear smaller, discoloration fades and wrinkles are diminished in just four weeks. Gently massage 2-3 drops onto a cleansed face and neck, paying particular attention to areas with expression lines. Allow to dry thoroughly. For best results two to three times per week at night time only. Shake well before use. Cautions: Patch test before use. Avoid eye contact. If eye contact occurs, rinse well with lukewarm water. Do not use on irritated skin, discontinue use if irritation occurs. Over-usage can cause drying and irritation of skin. Avoid excessive sun exposure. Use SPF protection while using the product. Aqua (Water), Butylene Glycol, Glycolic Acid, Babassu Oil Glycereth-8 Esters, Olive Oil PEG-7 Esters, Almond Oil PEG-8 Esters, PEG-40 Hydrogenated Castor Oil, Isopropyl Palmitate, Sodium Hydroxide, Phenoxyethanol, Panthenol, Parfum (Fragrance), Benzyl Alcohol, Limonene, Lecithin, Geraniol, Vaccinium Myrtillus (Bilberry) Fruit Extract, Disodium EDTA, Ethylhexylglycerin, Linalool, Saccharum Officinarum (Sugar Cane) Extract, Dehydroacetic Acid, Swertia Chirata Extract, Citrus Aurantium Dulcis (Orange) Fruit Extract, Citrus Limon (Lemon) Fruit Extract, Acer Saccharum (Sugar Maple) Extract, Citral, Citronellol, Farnesol Cautions: Patch test before use. Avoid eye contact. If eye contact occurs, rinse well with lukewarm water. Do not use on irritated skin, discontinue use if irritation occurs. Over-usage can cause drying and irritation of skin. Avoid excessive sun exposure. Use SPF protection while using the product.